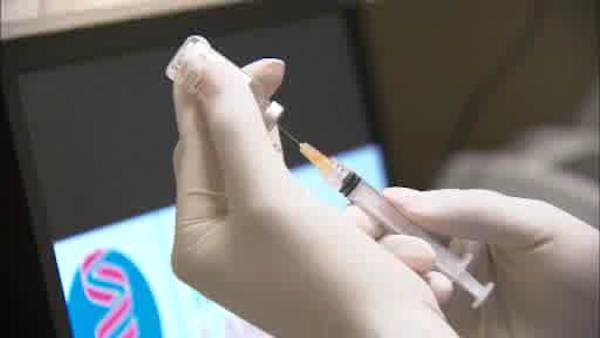 NEW YORK (WABC) -- Flu season is not over yet, but recent studies show improvement. According to the Center for Disease Control, the percentage of pneumonia and influenza-related deaths this past week dropped to 7.3 percent, which is slightly below the epidemic threshold of 7.4 percent. While the past few weeks showed gradual improvement, the CDC still warns that a shift back to epidemic levels is still possibly, especially since the current data are only slightly below the epidemic threshold. However, the percentage of doctor visits related to influenza-like illness are also down, which is an important indicator of the decreasing severity of this year's flu season. New York City and nine other states experienced low influenza-like illness activity. In another shift in flu trends this week, influenza B was the most common influenza virus type, which contrasts the previous trend of influenza A being the prominent strain this season. For more information about the flu, visit www.cdc.gov/flu for updates.